Rite Aid Weekly Circular February 3 - February 9, 2019. Valentines Miniatures on Sale! 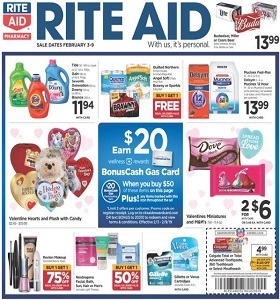 Rite Aid Weekly Circular February 3 – February 9, 2019. Valentines Miniatures on Sale! -buy 2 get 1 free Select GE Light Bulbs; buy 2 get 1 free Daylogic Skin Care.